Global Travel Media » Blog Archive » Stay & Dine with WorldHotels in the Year of the Pig! Stay & Dine with WorldHotels in the Year of the Pig! Hong Kong is revered internationally for being one of the best food hubs in Southeast Asia and is home to many Michelin star restaurants. Over at Hong Kong’s Central district, the Lan Kwai Fong Hotel is home to Celebrity Cuisine, a one Michelin star restaurant offering the most exquisite Cantonese dining on Hong Kong Island with the freshest A-list ingredients. Recommended dishes include pan-fried turnip cakes and bird’s nest in chicken wings. Do book early for this exclusive dining experience as Celebrity Cuisine only has six tables in its premises! In 2011, UNESCO declared Chengdu, the capital of the Sichuan Province, to be a city of gastronomy and for good reason indeed. The city is home to more than 6,000 Sichuan cuisine such as the Sichuan hotpot, Kung Pao Chicken and Mapo Tofu. Over at Chengdu’s Kuanzhai Alley (Wide and Narrow Alley), indulge in world-famous delicacies while watching a cultural bian lian (face-changing) performance at one of the many restaurants and teahouses. 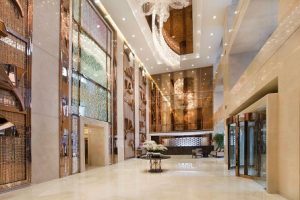 Just a short 10-minute drive away from this tourist attraction is Dorsett Grand Chengdu. The hotel is home to the Fu Xue Xuan Chinese restaurant, which offers guests delectable Sichuan and Canton cuisine. Considered the finest of cuisines in China, the restaurant dishes out specials such as Steamed Chicken with Chili Sauce and Honey Glazed Prawns. When it comes to delightful eats, Taipei is famous for its ubiquitous night markets that are packed with dozens of stalls selling the very best of street food. Perhaps the most famous one of them all is Shilin Night Market but be sure to check out Ningxia Night Market and Snake Alley as well. For an upscale dining experience, make a reservation at A Cut Steakhouse from Ambassador Hotel Taipei. Savor the world’s choicest cuts of beef paired with one of the 900 premium wines at this award-winning steakhouse. After feasting, retreat to one of the 402 rooms that Ambassador Hotel Taipei offers for a good night’s sleep. Dutch cuisine is so much more than just stroopwafels and sausages – the city is famed for exceptionally tasty morsels such as Bitterballen (deep fried meatballs filed with chopped beef, beef broth, herbs and more) and Rijsttafel (a Dutch colonial “rice table” feast consisting of small, shareable Indonesian dishes served with rice). Travelers who are feeling adventurous can even consider booking one of the many food tours offered by locals to discover hidden culinary secrets of the city by foot. 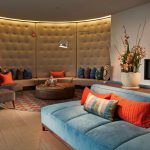 After a long day, experience the very best of Dutch hospitality at Park Hotel, a stunning hotel in the heart of Amsterdam. At the hotel’s award-winning restaurant, Momo Restaurant, guests are promised a cosmopolitan dining experience where East meets West. Sit back and enjoy a sophisticated cocktail at the bar while taking in a 360-degree view of the city. Dive straight into the food truck culture in the Bay Area, where cheap bites reign inside little mobile trucks populated all around the city. To sample as much street food as possible in one place and time, check out popular food truck gathering areas such as Truck Stop SF at First and Mission Streets. The roster changes every week, which means that foodies can go there daily and not eat the same thing! Set base at Cova Hotel, the perfect location in downtown San Francisco to kickstart a food adventure. For guests who prefer to sit down and enjoy a meal in a nice setting, the hotel is close to the city’s most desired restaurants such as Brenda’s French Soul Food, Ler Ros, and Turtle Tower.